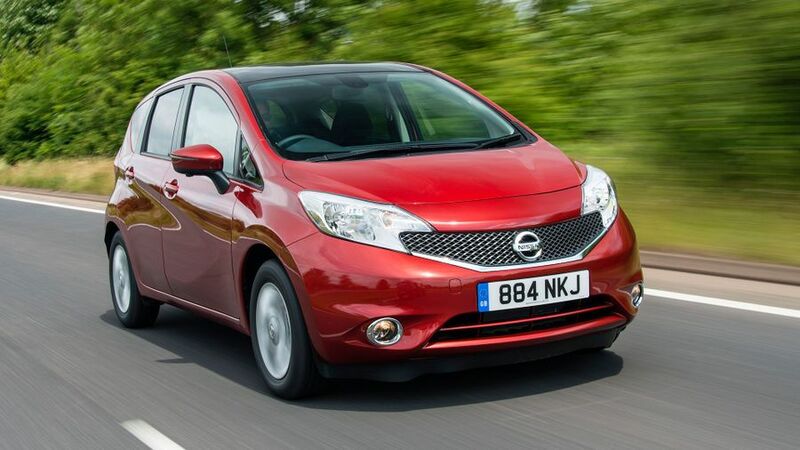 The Nissan Note does a reasonable job in most areas, but some rivals do better. For instance, the Note’s practicality is one of the high points, but a Citroen C3 Picasso does better on that score, plus it’s also more stylish and better on quality. Most disappointing with the Note, though, is that the jumpy ride and inconsistent controls make the car rather too wearing to drive. 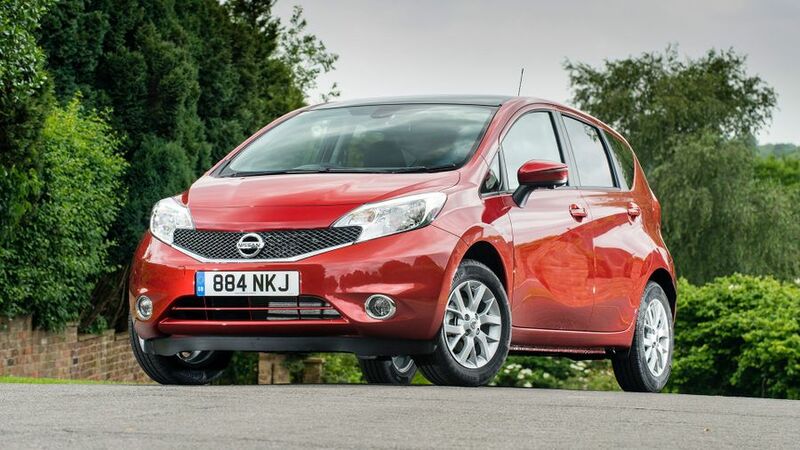 Interested in buying a Nissan Note? The Nissan Note tries to add a dash of character to the mini-MPV recipe – and it’s largely successful. With a front grille that cuts into the headlights, and intricately shaped rear light clusters, there are interesting details all over the car. The overall lines of the Note are still rather square compared with your average hatchback, though. As a mini-MPV, the Note offers more interior space than your average supermini. 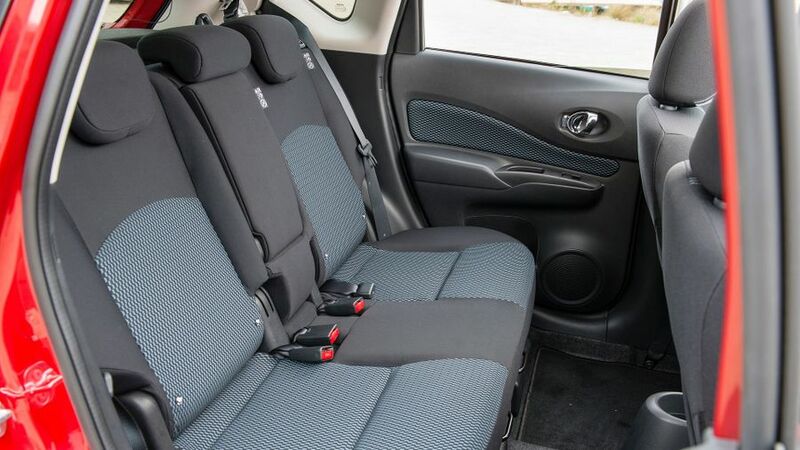 All five seats have generous headroom and, in all but the entry-level version, you get a sliding rear bench that lets you use the space available for either legroom or luggage. 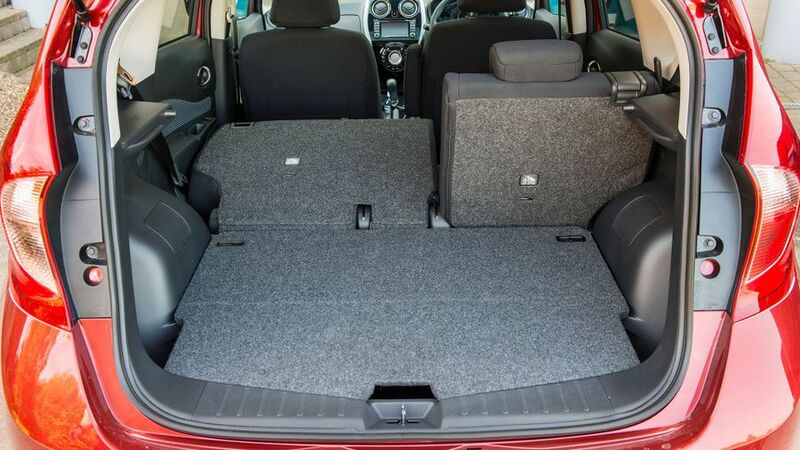 With the bench slid all the way back, rear legroom is generous and the boot gives 325 litres of capacity. Sliding the seat forward boosts this to 411 litres, but rear legroom becomes distinctly tight. You can set the seat at various points between the extremes to find the right balance, but the cabin would be more versatile still if the rear bench wasn’t a one-piece affair. Folding the back seats down opens up an impressive maximum loading capacity of 1,495 litres, and the moveable boot floor flattens out the step in the load area. However, the backrests lie at an angle. The previous-generation Note was something of a surprise package. It looked very sensible and sedate, and that was backed up by a comfortable ride, yet it was also great fun to drive, thanks to sharp body control and direct, meaty steering. Unfortunately, the fun factor has been lost with this version. The steering feels vague and slow to react, while the body slops over too much in bends. This would be fine if the Note delivered a more cosseting ride than before, but it doesn’t. The suspension doesn’t feel as well controlled and it gets caught out by low-speed potholes too often. The bigger irritation, though, is that there’s no consistency to the feel of the major controls: the pedals all have different weights and travel lengths, the gearshift is loose and imprecise and the steering is inconsistently weighted. The engine range kicks off with a 1.2-litre three-cylinder petrol that produces 79bhp. It’s no ball of fire, with 0-62mph taking 13.7 seconds, but it’s flexible enough to keep you chugging along without too much shifting around on the five-speed manual gearbox. The bigger problem is the noise the engine makes, which is loud and strained for too much of the time, and especially so when you want more than modest acceleration, as its peak pull comes at a lofty 4,000rpm. A supercharged version of this engine that produces 97bhp is also available, but we haven’t had the chance to try it yet. Buyers can also choose an 89bhp 1.5-litre diesel, and with a generous slice of mid-range torque, it’s faster and more easy-going than the petrol we’ve tried. It’s still not the quietest engine of its type, though, and choosing it makes the Note rather expensive to buy. Purchase prices for the Note are reasonably competitive, resale values aren’t bad, and other running costs will be par for the course, too. For example, the tiny three-cylinder petrol engine returns an entirely acceptable 60.1mpg and CO2 emissions are correspondingly low. The more powerful supercharged version does even better, with figures of 65.7mpg and 99g/km, because it doesn’t have to work so hard to deliver the performance you need. 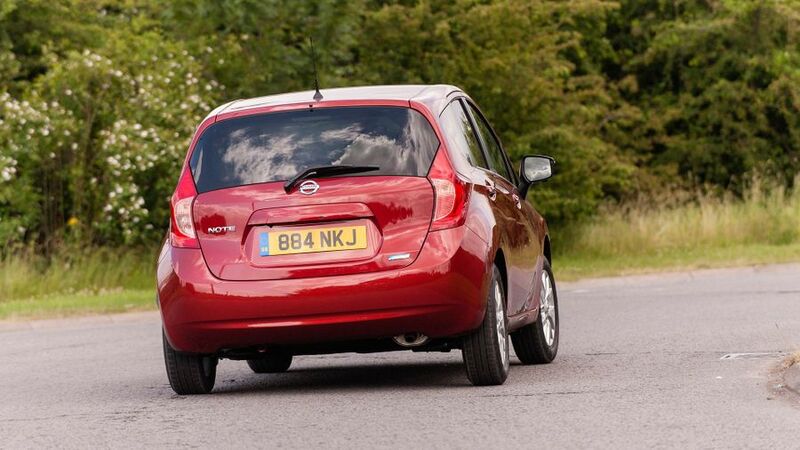 The diesel is the star performer for efficiency, with 78.5mpg and 92g/km, figures that really are very impressive. Traditionally, Nissan has an impressive record for reliability and the company currently enjoys a reasonably high standing in Warranty Direct’s league table of manufacturers. However, the quality of some of the materials doesn’t give you all that much confidence in how well the interior will last and Nissan only provides a three-year/60,000-mile warranty, while some rival companies are more generous. All Notes have the basic safety equipment you expect, which includes electronic stability control and six airbags. There’s also a Safety Pack available that gives you the four-way camera system, lane departure warning and a blind spot monitor. The pack is standard with Tekna trim, but costs extra on Acenta Premium trim and isn’t available on the lower trims. Disappointingly, the car only scored four out of five stars in Euro NCAP crash tests. The testers decided that the steering column and centre console presented a risk of injury to occupants, while the front edge of the bonnet provided poor protection to pedestrians. We’d avoid entry-level Visia trim. 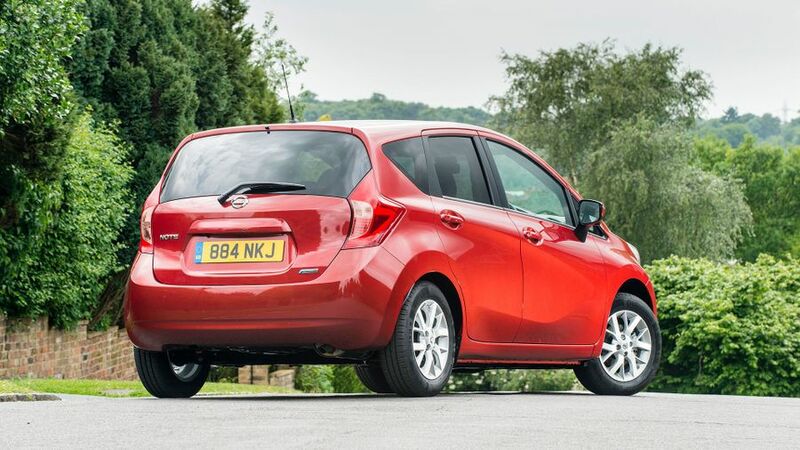 It comes with essentials such as electric front windows, Bluetooth, cruise control, and USB and aux-in sockets, but misses out on desirable features such as air-con, alloy wheels, a height-adjustable driver’s seat and sliding rear seats. Acenta trim checks these boxes, also adding powered rear windows, steering wheel-mounted stereo controls and privacy glass. 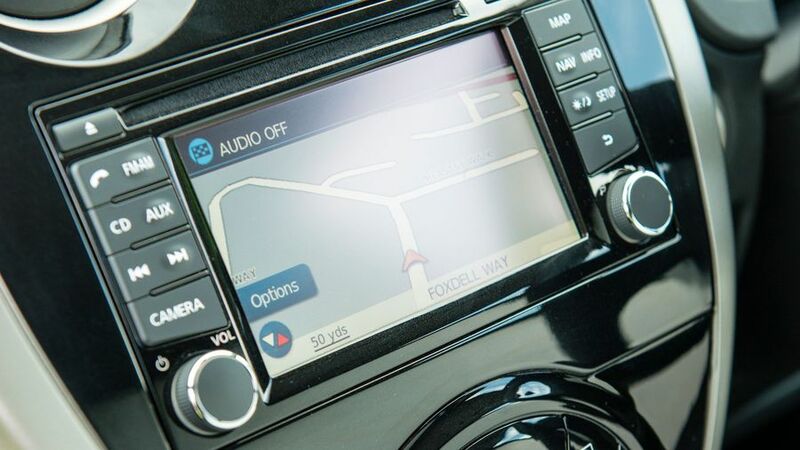 Acenta Premium trim adds climate control, automatic lights and wipers, and the touch-screen infotainment system with sat-nav, while Tekna models also have part-leather seats, keyless start and the four-way camera system. Last, but not least, Acenta and Tekna can come with an extra Style package that smartens the car up with different bumpers and a roof spoiler. Because you need more space and versatility than a conventional supermini can provide, and you want plenty of kit for a reasonable price. Avoid the entry-level trim and the Note provides that. However, so do rivals such as the Citroen C3 Picasso, which is also more stylish and better to drive. That’s where our money would go.